A set of bean bags offers hours of open ended entertainment for kids. Kids can find a world of uses for them, from toss games to balancing games to projectiles and more. Wen from What’s Mummy Up To? 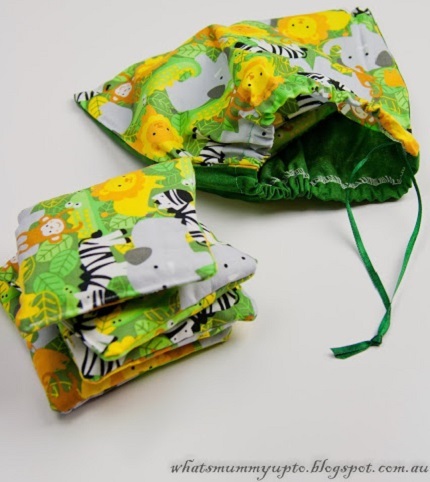 shows how you can make a set of bean bags for your child to play with. They’re quick and easy to make, and you can use fabrics from your scrap bin. Go to her tutorial.